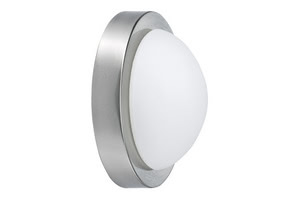 The round design featuring a glass dome can be counted as a classic among wall and ceiling luminaires. Yet Dopp lends this universal design a new quality with its wide metal ring and high-quality opal glass finish. The light point of the energy-saving lamp provided is perfectly adapted to the design.